Although many economists, mortgage data analytics providers and the government-sponsored enterprises are reporting an active, healthy housing market, the Department of Housing and Urban Development (HUD) has a different narrative to describe the first quarter of the year. Recent market analysis by various parties shows a strong seller’s market, good supply and demand, a boost in listings and increases in mortgage applications, despite rising interest rates. 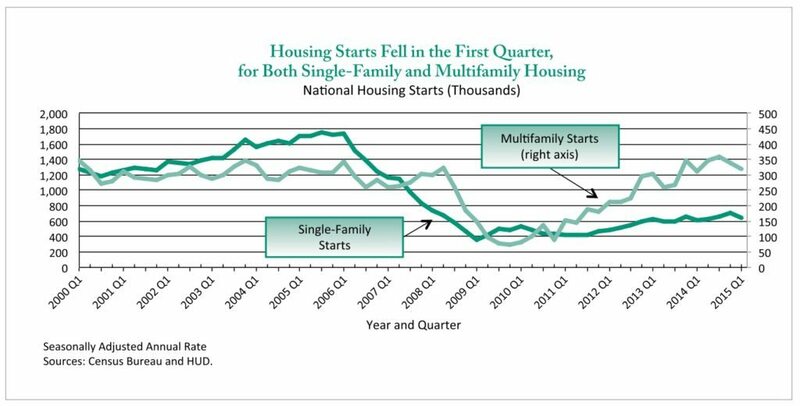 Construction starts fell for both single-family and multifamily housing. Purchases of new single-family homes continued to rise, although sales of previously owned homes declined slightly. Sales of new single-family homes were up 9 percent from the previous quarter and 21 percent from a year earlier. Sales of existing homes were down 2 percent from the previous quarter, but up 6 percent over the previous year. First-time homebuyers accounted for 29 percent of all sales transactions this quarter, well below the historic norm of 40 percent. HUD said that the overall U.S. economy contracted at a seasonally adjusted annual rate of 0.7 percent, according to the Bureau of Economic Analysis’ second estimate, following a 2.2 percent gain in the fourth quarter. 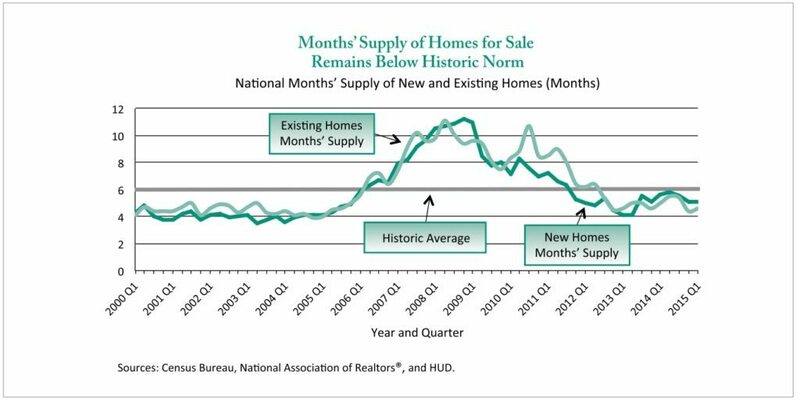 The supply of homes for sale increased for existing homes, but remained the same for new homes. The months’ supply of new homes on the market (5.1 months) and for existing homes (4.6 months) remains below the historic average of six months, an impediment to a stronger housing market recovery, the report said. The seasonally adjusted Standard & Poor’s (S&P)/Case-Shiller and the Federal Housing Finance Agency’s (FHFA) repeat-sales house price indices showed home values increasing at a slower pace in the first quarter, with annual house price appreciation continuing to stabilize. The analysis is not all negative, however. According to the report, most measures of delinquency and foreclosure on mortgage loans continued to improve in the first quarter. RealtyTrac data show that foreclosure starts fell in the first quarter, although foreclosure completions increased — primarily the result of efforts by many states to reduce the backlog of loans in their foreclosure pipelines. Distressed sales and investor purchases are beginning to have less of an impact on house prices; the former accounted for 11 percent of existing-home sales, down from 15 percent one year ago, according to the report. Real residential investment, which includes investment in new homes as well as the remodeling of existing homes, expanded at a 5 percent rate, following a 3.8 percent rise in the previous quarter, and contributed 0.16 percentage point to real GDP growth following a 0.12 percentage-point contribution in the fourth quarter of 2014, according to the report.